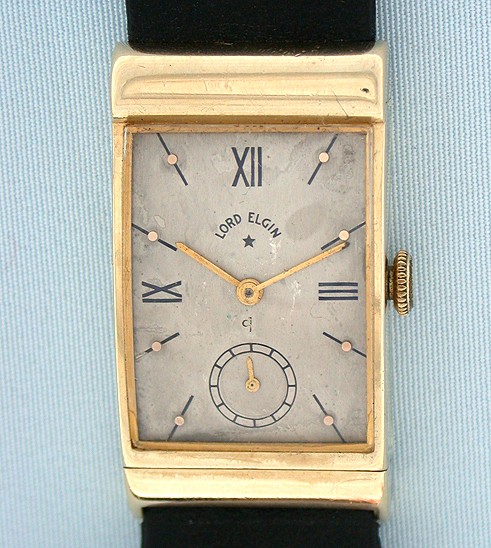 Fine and unusual 14K gold Elgin assymetrical driver's watch circa 1945. 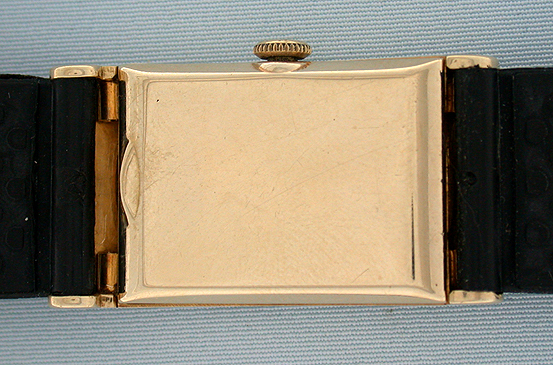 Silver dial (light aging) with gold markers and gold hands. Unusual assymetrical case. 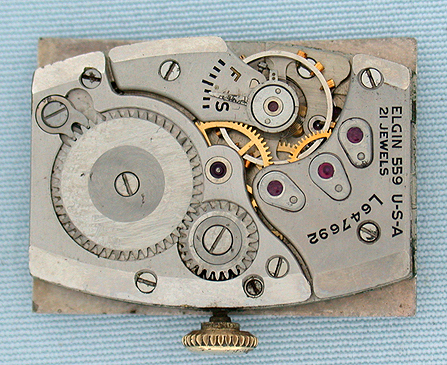 Fine 21 jewel movement. Handsome.